I want him to be happy. I want him to enjoy school. I don’t want him worrying about his SATs next year. I want him to do well at school and then be whatever he wants to be. The heartfelt response of a mother asked by myself what she wanted out of school for her son. I want to be a footballer, and if I cannot be a footballer then I want to be a policeman. On being asked by Matt Young of @UKPastoralChat if I would host #UKpastoralchat #AskPastoral , I accepted, enthusiastically so. Earlier this month I hosted #SLTchat, my first experience of doing such a thing. I shared the outcome of that debate here and here. I see hosting ‘chats’ as something of a privilege. A privilege because doing so presents a wonderful opportunity to engage with a wide audience made up of fellow travellers holding a diverse range of perspectives on a topic that you hold a special interest in and have a passion for. Note that I halt short (a long way short) of claiming ‘expertise’. Although, I do feel qualified to share transferable learning and lessons from my experience as a school leader (with a strong belief in community engagement), a researcher (doctoral studies focusing on relational leadership and community capacity building), and as a community capacity building coach working with schools. I go with the sentiment expressed by Ian Gilbert in his book Independent Thinking, ‘There’s No Such Thing as an Educational Expert’ (p.175). … I am increasingly of a mind that anyone standing before a group of educational professionals and proclaiming in all confidence, ‘This works’ is actually saying, in all frankness, ‘This worked’. Rather than saying ‘Do this!’ I suggest that ‘Try this!’ is a more honest imperative, although ‘Adapt this!’ beats them both hands down. So, what of ‘collective expertise’? I wonder. All sorts of stuff happens on Twitter; agenda-setting, grandstanding, declaration, provocation, but, for the best part, I find it to be a place to go to share and learn from and with one another. An extension of a healthy and respectful staff room. A globe-spanning extension, indeed! 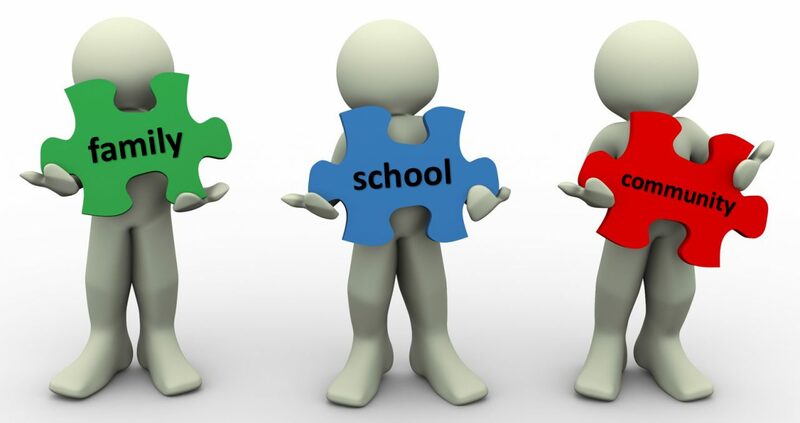 The theme I have set for #UKpastoralchat #AskPastoral #AskPastoralSimonFeasey on 2nd May is School, Families and Community: Stakeholders, Partners or Friends? #UKpastoralchat tweet out the topic that is due to be discussed and the date of the chat. Those interested tweet their questions using the hashtag on the topic. On receipt of the questions, the chat host thinks on suitable responses /answers – including any further links to additional information /resources. On the night of the chat the host tweets out the question and then tweets out the response/answer. When the question /answer is tweeted out this leads to further discussion, via tweets. In reviewing Home-School relationships and its ‘story’ in the literature, Carol Vincent (1996) argues that much of the home-school debate lacks a critical approach. Vincent warns of the reliance on consensual language, such as ‘partnership’, ‘dialogue’, ‘involvement’, ‘sharing’; with such terminology serving to edit tension and conflict out of the relationship, whilst being powerful in effectively constructing norms for home-school relations. Fifteen years later, we have Hornby and Lafaele (2011) highlighting the widespread use of the term ‘partnership’ at all levels from school prospectus to government policy papers. Q. How often do we freely use such language to describe – define, indeed – the position in our schools? Q. How do we match up against the rhetoric: reality tension described by Hornby & Lafaele? Q. What is the reality from the parents/carers and community perspective? Q. Do we ask them? Q. Do we listen to them? I had the privilege of interviewing Professor Carolyn Shields earlier this month. I wanted to find out more about Professor Shields’ theory of Transformative Leadership. Shields says that we need leaders who are willing to look beyond the walls of their organisation to the needs, wishes, desires of their community at large, and to see how the current “culture of power” continues to marginalise and exclude some to the detriment of all. A culture of power exists in all organisations whether we are aware of it or not. The rules of the culture of power are a reflection of the rules of the culture of those who have power. Those with power are frequently least aware of – or least willing to acknowledge its existence. Those with less power are often most aware of its existence. Q. In thinking on the nature of family-school-community relationships where does the power lie? Q. Do we think on it in our schools? Q. Should we be thinking on it? Schools and their communities are not hermetically sealed. I have also interviewed Professor John Smyth this month. Professor Smyth’s socially critical stance and prodigious work on social justice in education I find both inspiring and brilliant in equal measure. Smyth says that early on in his research work he formed the view that certain schools and communities were deliberately constructed by politicians, policy makers and the media as deficit zones in need of ‘fixing’ up—by those who regard themselves as having superior knowledge and wisdom. Hence, his attempt to instead shift the focus to these communities as having strengths and as being repositories of assets that are ignored or disparaged by official paradigms. So, the process of giving these communities an authentic voice, in his work, Smyth says, amounts to creating a space that would otherwise be inhabited or forcibly occupied by those who see themselves as having superior knowledge; providing a space for the vernacular to be heard. Professor Smyth calls this approach ‘voiced research’. Q. To what extent is the work we do in schools informed by community voice? Q. Are we truly genuine in the attempts we make to offer our communities an authentic voice? Q. Do we listen or are we expert and equipped to fix? Epstein’s model does exactly what we as educators aim to ground our work in; the child being at the centre. The model has Family, School, and Community as influencing spheres. I cannot detect lines of power in this model, rather the need for collaboration and, I’ll say it, ‘partnership’. Equal partners, at that? The culture of Power: who holds it and the impact of that. The mother and the child introduced at the beginning represent the lifeblood of our schools. It seems to me that the mother’s expressed concern represents something of a plea. If accepting of the role school and schooling has to play (mother was wholly positive about the school her son attends – wholly positive.) there lies a tension in her words. Concern for her son’s wellbeing. Concern about the system and its inherent pressures, directly impacting on her son. Resignation to the fact that this is the way it is. Disenfranchisement and helplessness; What role have I to play? For me, the networks of support our young people need now are just as important as they ever were, arguably more so. Those networks must encompass families, school and community. I explore this idea / statement using the fictional (but not so fictional) Billy Casper from Kes here. The need for Pastoral Care in our schools is very real. Family-School-Community relationship and capacity building must feature. The mother featured in this blog has made her plea. Where do I fit in? What am I? Stakeholder? Partner? Friend? Consumer? What do you think? Please add your voice to this debate. I will blog afterwards to share all perspectives. Delpit, L. D. (1990) The silenced dialogue: Power and pedagogy in educating other people’s children. In N. M. Hidalgo, C. L. McDowell, E. V. Siddle (Eds), Facing racism in education (pp. 84-102). Cambridge, MA: Harvard Educational Review. Epstein, J. L. (2011) School, Family, and Community Partnerships: Preparing Educators and Improving Schools (2nd edition), Philadelphia: Westview Press. Gilbert, I. (2014) Independent Thinking, Carmarthen: Independent Thinking Press. Hornby, G. and Lafaele, R. (2011) “Barriers to parental involvement in education: an explanatory model” Educational Review, 63 (1) pp 37-52. Shields, C. M. (2018) Transformative Leadership in Education: Equitable and Socially Just Change in an Uncertain and Complex World (2nd edition), New York: Routledge. Smyth, J. (2011) Critical Pedagogy for Social Justice, London: Continuum. Vincent, C. (1996) Parents and Teachers: Power and Participation, London: RoutledgeFalmer. I agree with many of your points. Your comments on “partnership” will give me pause next time I use it! A Canadian researcher – Dr. Debbie Pushor – talks about 2 things that relate to this blog. One is parent knowledge and teacher knowledge. She asserts that both are necessary (and should be honoured) in teaching our children. The other is a “badge of difference” that she feels schools hold close. She argues that it allows us to “enact policies, procedures, programs, schedules and routines without parent input” and makes educators “protectors within a protectorate”. How we break down the barriers of language and practice in order to build something better for our children is the on-going question. Gives me ‘comfort’ to know the questions are the same across the pond! Good article – a few thoughts! We might need one of your charts? Thanks for this, Jen. I have strong views on the nature of family-school-community partnership, as you know. I am very much looking forward to hearing the views of those who might hold different perspectives. It is an important debate. Politicians and Ofsted are shouting from the rooftops that more schools than ever are ‘Good’ or ‘better’. Meanwhile, we are told that more children have problems with their mental health than 30 years ago; and rising at an alarming rate. So far as I am concerned that rings alarm bells. This is a pastoral care issue. It is time to reconsider the way families, school and community work together. I hope you will find the time to engage in the debate tomorrow evening.